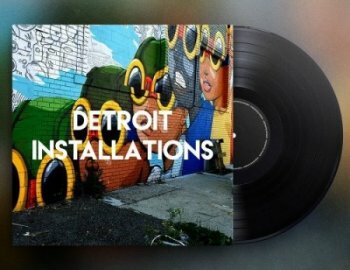 Packed with over 443 MB of various sounds & loops "Detroit Installations" is entitled to match the highest standards and needs of House producers worldwide. Including 6 folders with Bass Loops, Chord Loops, Atmospheres, Cymbal Loops, Drum Loops and Music Loops in cutting edge quality, recorded using the finest equipment, composed and selected with the highest artistic claim. Many of the sounds & Loops are coming from analogue Synthezisers like the Moog Mother 32, Moog Sub37, Roland Juno-6 & Roland System 100 recorded with a Technics RS1506 Tape Machine.